As we approach this time of Thanksgiving, moments of gratitude fill our hearts with joy. We're grateful for you, readers, and we thank you for visiting our blogs. 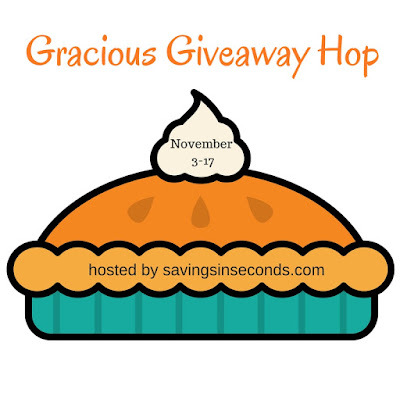 Welcome to the Gracious Giveaway hop, hosted by Savings in Seconds! Enter to win prizes through November 17, 2018. Good luck! 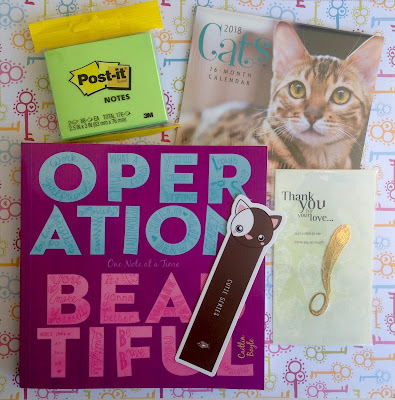 Readeropolis is giving away an Operation Beautiful Prize Pack featuring Operation Beautiful: One Note at a Time by Caitlin Boyle to one U.S. winner. See the Gleam widget for terms and conditions. I've never heard of Operation Beautiful -- now I'm curious about it! My Mother would enjoy this pack of gifts.